Today’s giveaway is from Heather, the creator of Mama’s Notebooks. Heather created these handy notebooks in the hopes of helping other moms get organized. 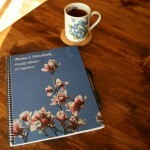 All of the notebooks feature simple and effective charts, lists, and ideas to help your family life run more smoothly. Rather than have Heather share more about her notebooks here today, I want to tell you how I am using some of them myself! 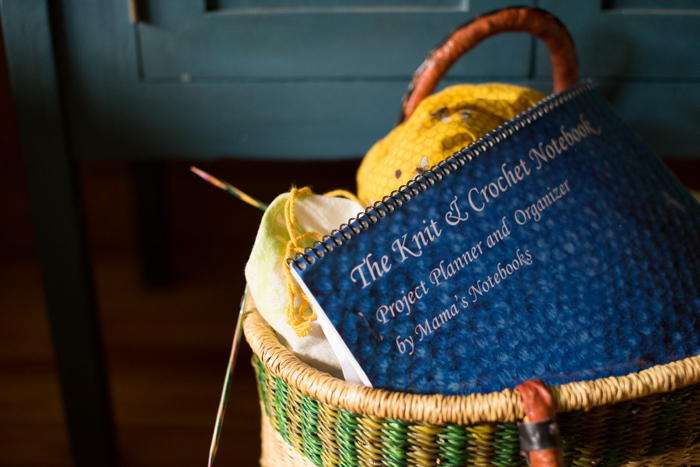 I currently use the Mama’s Notebook, The Weekly Homeschool Notebook, and The Knit & Crochet Notebook. As I began planning for the start of our new school year, taking into account the activities my children are involved in now, I realized that I would truly have to step up my game in the organizational arena this year, or lose my mind. 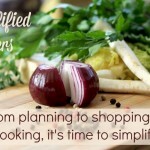 Much of the planning that I do revolves around food and feeding my family. I can no longer just plan a week’s worth of dinners and be done with it. Planning only dinner results in us eating junky fast food and going way over budget. I have to plan all three meals of the day, in addition to special meals for baseball tournament weekends and our once per week co-op day. My Mama’s Notebook has become an absolutely crucial part of that. 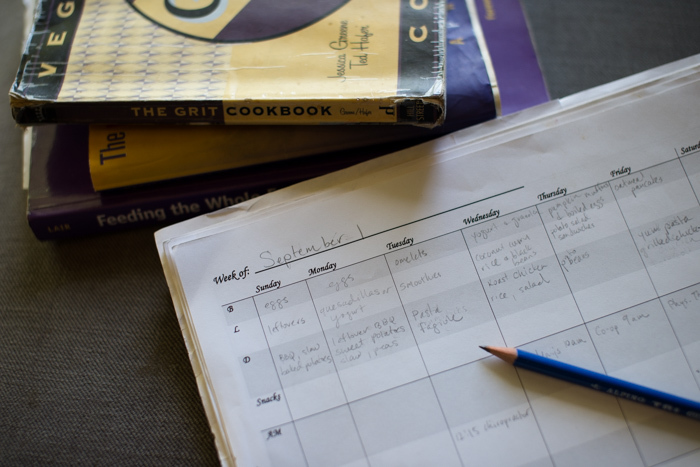 It gives me a place to record all my plans for meals in addition to each day’s events and to-dos. I love that it doesn’t have to be started on any particular date, instead allowing me to fill in the dates for the week I am planning as I go. That way, I can skip a week if needed, without wasting pages. I don’t enjoy planning meals, I think mainly because it takes so much thought. I struggle to find uninterrupted time to work on my plans, so I have been trying something new lately. One evening per week, I choose a handful of favorite cookbooks, grab my Mama’s Notebook, and head to my local Wegman’s, which has a really nice area with tables and chairs above the grocery portion of the store. I find that I can come up with a plan far more quickly by doing it away from home without any “helpers.” In addition, I can quickly check out what is available before I start my planning. On a recent night though, after one such planning session, I found myself suddenly struck by a terrible thought as I lay in bed trying to go to sleep. I realized that I didn’t know where my notebook was, and I feared that I had left it in my shopping cart at the store. 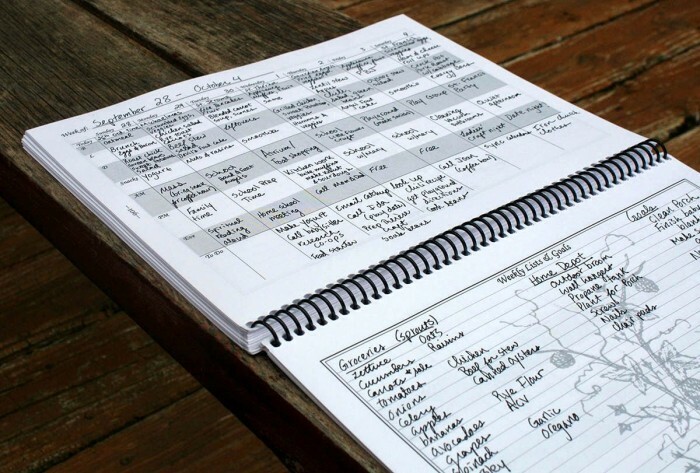 I have all my favorite meals recorded on the pages, not to mention many weeks worth of menu plans that I regularly look back at. I hardly slept that night. The following morning I breathed a huge sigh of relief after calling the store and being told that they had my notebook behind the counter. Thank goodness. I am also really relying on the weekly Homeschool Notebook this year. In the past I have created my own spreadsheets to fill in with my kids’ lessons. Last year I found myself really dreading working on those each week, and determined that I would try to eliminate some of the work this year. I am using the weekly Homeschool Notebook for Larkspur and Beatrix, and it has really eliminated some of my planning stress. 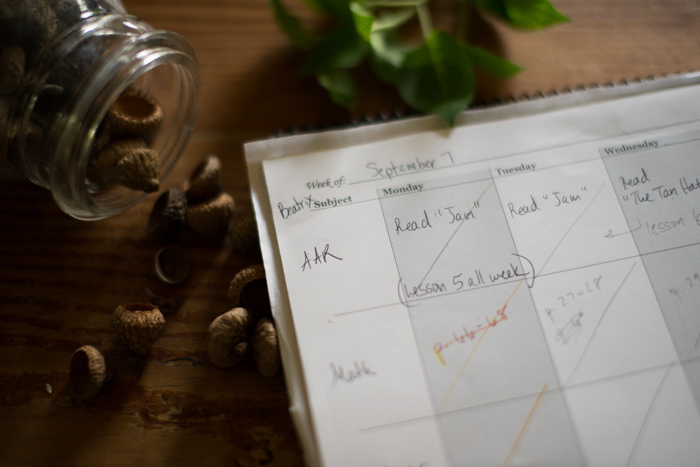 I am able to quickly and easily jot down what I hope to accomplish with each of them each week and then cross through each thing as we get it done. 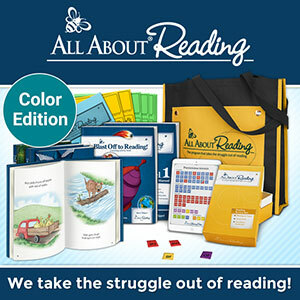 Heather offers a monthly/unit Homeschool Notebook as well. The last notebook that I use regularly is the Knit & Crochet Notebook. When I am knitting a complex pattern with lace and repeats and other things that force me to pay attention, I keep notes in this notebook. I love the graph paper pages! 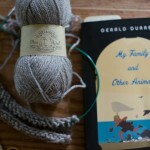 I also use it when I am working on my own knitting patterns. I guess I should say, when I was working on my own knitting patterns. Since we started our new school year, I haven’t had any time for designing! Be sure to check out Heather’s blog, and read about all of her wonderful, help-you-get-organized notebooks! Heather would like to give one notebook of choice to two Small Things readers! **She has also discounted all notebooks 15% off through October 4th. In addition, you can receive another 25% off the already discounted price through September 22nd by using the coupon code MATEY25! 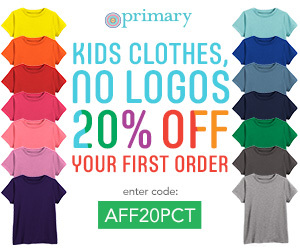 So, by placing your order by September 22nd, you can get a total of 40% off!! For your chance to win, leave a comment on this post. 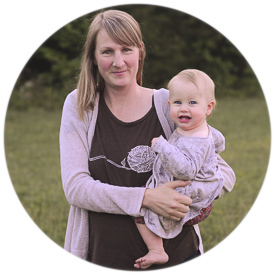 I would love anything that could help me organize two babies and all that goes with them. Thanks for the chance. Wow, these look wonderful. 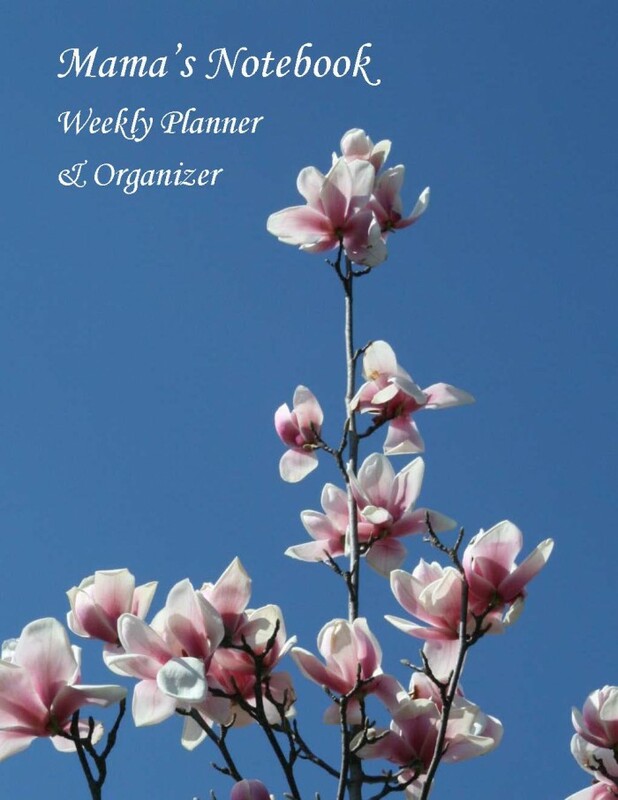 I would really utilize the Mama’s Notebook, the weekly organizer! Prayerfully considering homeschool next year. Would just Love an organizer. Gracias! 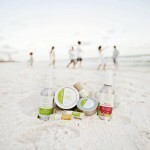 What a cool product! I am definitely ordering one of these. Please enter me in the drawing. I'm still trying to find just the right fit of planner and these look like a great option! Thank you both for the opportunity. I am such a list-maker. I’d love to win one of these! Id so love to win a planner. I’d have to be the most disorganised person I know. I didnt realise there were planner for so many things ! Fantastic .. I need all the help I can get when it comes to organizing. Thanks for the opportunity! Looks like these planners could be helpful! Thank you so much for this giveaway! I hope I win, but even if I don’t I will be getting one or two notebooks. I’m homeschooling my sons and we just moved and our schedule is different and shifting and I need a better system to keep track of everything! These look perfect! Thank you again! Oh I would LOVE to win a notebook!! I just had my 6th baby and I’m homeschooling my oldest who is 6:) I could sure use some organization!! What a great giveaway….I can never have enough stuff to keep me organized. Thanks for the giveaway. I would love the win the meal planner!! Keeping track of things is so important. We have planners for school but still need to work on getting meals organized and that knit crochet planner looks simple and lovely too. Menu Planning for the win! Thank you! Thanks for the chanche! 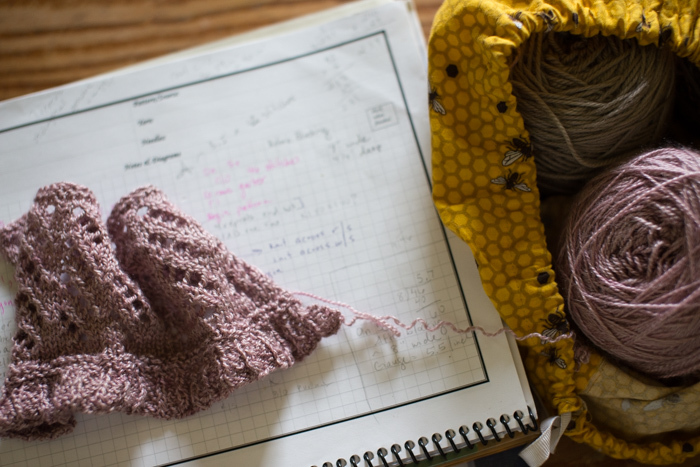 Love the knitting and mama planner. These sound wonderful! I would love to win and would find them very useful! Thanks for the information. These sound very helpful! These sound just wonderful, thank you for sharing. 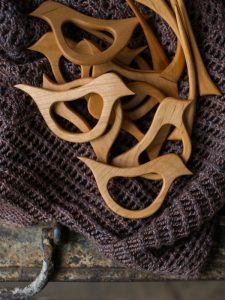 These look wonderful for those of us who are not quite as organized as we might wish… 🙂 Thank-you! Oh, how I love to plan! These look great! I am such a stickler for being organized. Since I was in high school, I used to colour code my agendas. While I don’t have a planner or particular notebook, I do post scrap pieces of paper with “to do” lists, meal plans, etc on the fridge every day. Anyhow, these notebooks sound great! 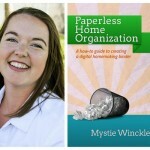 I am a homeschool mamma and this would help me to begin to get organized. Thanks for the opportunity! oh, I could really use that meal planner right now! Could use some organization in my life…thanks for the chance to win! !